THE VOICE: Kelly got her male country singer! The final round of auditions didn’t feel as flat-out unforgettable, but there’s an overall good group who will be competing this season. AMERICAN IDOL: This is a long-running thing, but it’s strange how often people associated with IDOL bash THE VOICE. It happened when the show was on Fox—and when IDOL was doing better than THE VOICE—and it feels petty every single time. 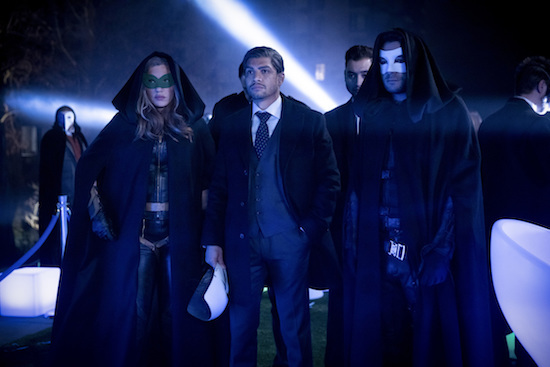 ARROW: It’s always strange to have an episode of the show almost entirely without Oliver. It made sense given the future-focus, but still. It was one of the better episodes of the season, but I remain quasi-convinced the show will somehow undo the future. This isn’t a show I expect to end with some sort of happily ever after, but this is kind of awful. THE FIX: ABC has been very, very big on hyping the Marcia Clark connection, which makes sense, but I (personally) like to separate that a bit from my viewing experience.